The former Bihar chief minister, who is serving sentences in a number of fodder scam cases, is currently undergoing treatment at a Ranchi hospital. Rashtriya Janata Dal (RJD) president Lalu Prasad today took to Twitter to greet people on the occasion of Chhath. "Countless people have, while greeting me on the occasion of Chhath, credited me with having brought international recognition to this festival. I have only this to say to my well-wishers - this is all by virtue of you all. May Chhath Maiya bring peace and prosperity and fulfill all your wishes," he tweeted. His family has allegedly decided not to celebrate the festival this year following the decision of his elder son Tej Pratap Yadav seeking a divorce from his wife Aishwarya Rai. 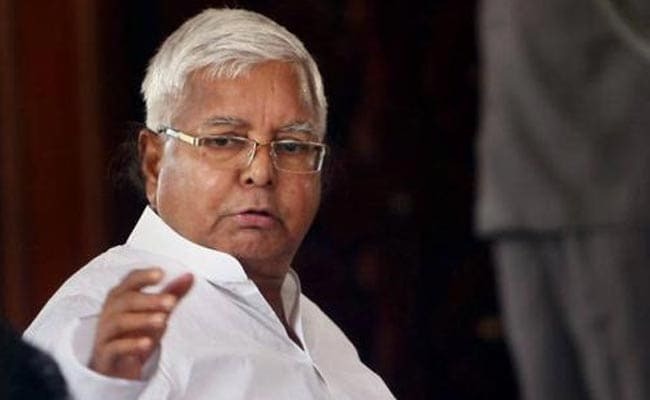 However, making the announcement last week, RJD leader and Lalu Prasad's close aide Bhola Yadav said Rabri Devi was not keeping well and the decision had nothing to do with her son's marital discord. In another tweet, Lalu Prasad raved about the rich repertoire of folk songs associated with Chhath and underscored that the festival was also about celebrating "dignity of woman, equality, social harmony and the conservation of eco-system and bio-diversity".